There are 8 posts tagged learning (this is page 2 of 2). 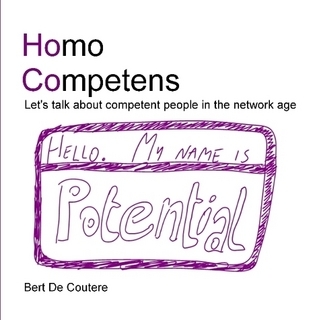 Bert De Coutere has written a very good book on competences: Homo Competens (I wrote a small review on Goodreads). As a follow up to the book he is interviewing learning professionals about their competences, how they acquired them and how they keep them. I had the honour of being interviewed too (and he kindly allowed me to publish the interview below). You can find the other interviews here. Bert: At what competence domain(s) would you consider yourself “competent”? Hans: This is a hard question. I have different levels of competence in all kinds of domains. So I am a competent teacher, a relatively competent speaker and a very competent learner. If I would equate (professional) competence with what it is that I do then I would say I am competent in Internet technology with a strong focus on learning and open source. Bert: Describe moment(s) where you grew the most in a particular competence domain. Hans: Whenever you start something new, the learning curve is probably steepest. For me these have been the moments I switched jobs or roles in my career. So when I first started teaching in a high school, when I became an external consultant and then when I joined a large multinational company. I love to kickstart that learning process by consuming as much information about the topic as I can, starting with books, subscribing to tens (if not hundreds) of RSS feeds and then connecting to people who are really in the know about a particular topic. Bert: How did you become good at what you do? How do you stay good? Hans: You become good in what you do by actually doing it. This should be combined with a natural sense of curiosity, participating in a community of experts and the occasional pause for reflection. The one thing that really helps is a positive attitude towards experimentation. You have to be willing to try something different to be able to make progress, that means you should be afraid of failure. Bert: Do you care to share any tips for those who want to follow in your footsteps? What went well? What would have been even better if only…? Hans: Here come the platitudes: What has worked well for me is getting authentic pleasure out of what I do for a living. So if you want to follow in my footsteps (please, why? ), start there. The one thing that I wish I had done more in the past is stretch myself a bit more: I am a careful person and I only like doing things that I know I can actually do. I am now trying to embrace those challenges when I get them. Bert: How do you recognize competent people? Bert: Do you see yourself doing something completely different five or ten years from now? 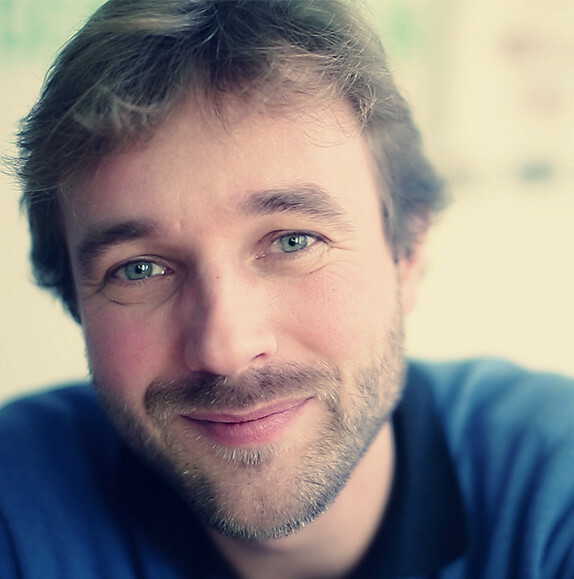 Hans: Looking back at how I thought about myself 10 years ago it would be foolish for me to answer anything but “yes” to this question. In a world where the accelerated change of technology is itself accelerating I don’t think we can imagine what the world of work will look like in ten years from now. So it is very likely I would do something different by that time. I’d like to think my job would still involve me thinking about how I can affect social practice through technology. Bert: What do you think of the responsibilities of the knowledge professional at one hand, and the employing company at the other hand in terms of competence development? Hans: This might be a trendy thing to say, but I am really starting to believe that working and learning are turning into the same thing (at least for knowledge workers). So who is responsible for doing the work? The professional! The one thing that the company could (and should) still do is to facilitate this by creating the right environment. Bert: How would you categorize your professional network? Is it large, or do you keep it small? Is it composed primarily of people you meet regularly face to face, or is it very virtual, or any degree in between? Hans: My professional network is larger than most of my direct colleagues. I actively work at making it larger: if knowledge resides in networks it only makes sense to work at optimizing that network. I have met most people in my network face to face at some point. Seeing people once a year at a conference is often enough to keep the professional connection alive for the rest of the year and be in touch virtually only. Bert: Describe your ideal environment to thrive in. Hans: There are two things I need: autonomy and a decent Internet connection. I get very uncomfortable very quickly if I don’t have either of these things. Bert: How long did it take you to become good? Hans: Aptitude has something to do with it. It didn’t take me very long before I was a good teacher, but I have been practicing my juggling skills for years now, and even though I am better at it than 99% of the people that can juggle three balls, I would still not consider myself to be good at it. They say it takes 10,000 hours of practice to become an expert at something, I would say it probably takes about 3,000 hours to become good at something. Bert: Are you involved in any “sharing” activities? Do you think sharing helps you grow? Did you experience people taking advantage of the things you shared? Hans: This is what I call the “teacher paradox”: the nature of the teacher-student relationship makes it that the teacher is always the one who learns the most. Thinking about how to share something with the rest of the world forces you to think about things just a little bit harder, gaining a better understanding. I write a blog under a Creative Commons license, have a Twitter account and share a lot external information in our internal Yammer network. “Taking advantage” has two meanings. I sure hope a lot of people have found the things I shared useful and have taken “advantage” of it in that way. I realize people are sometimes scared to share because they think people might “steal” their materials. I think this is a fallacy: I for one have gained way more from sharing than other people have gained from using my stuff. Bert: How do you feel about the “self-reliant” professional? Do you find the evolution to “self”; self-steering, self-succeeding or self-failing, … a liberating evolution or one that rings alarm bells? Hans: This is probably the most interesting question of the interview and it deserves much more thought than I will give it here. An increase in autonomy is a good thing and in that sense I like the increasing focus on the “self”. However, to live a fulfilling life you should have some dependence on others. It wouldn’t surprise me if this focus on the “self” is in some way a consequence of the fact that we can now organize ourselves without having organizations to facilitate that process. The focus on “self” can be there now, because our Western world finally enables us to be self-reliant. Bert: How do you think your competence should be evaluated? Hans: I should be the first judge of my own competence, other good alternatives would be my professional network, external or internal clients and my direct colleagues. Bert: Thanks for the interview, Hans. Nice purple suit!